Columbia Sportswear and agency North have launched a series of branded videos that puts influencers into uncomfortable situations outdoors—a TV star scaling a glacier, a singer fishing in Baja, a comedian trekking through the Highlands for a whiskey tasting. 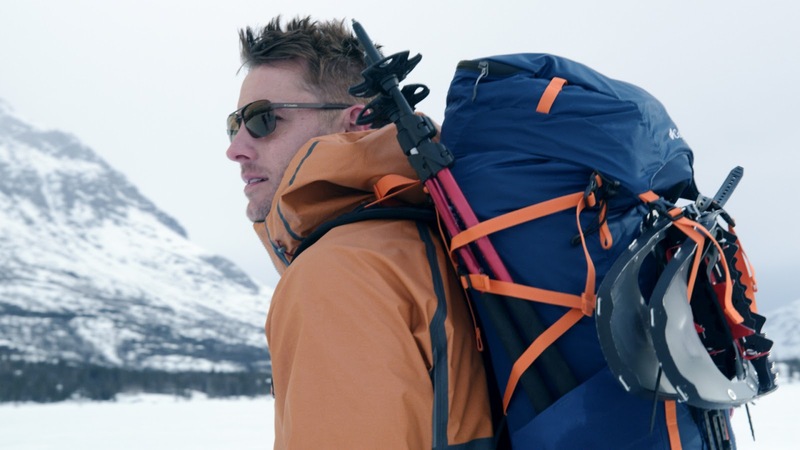 “Date Night” is the latest film created by Columbia Sportswear and North, featuring Actor Justin Hartley and his wife looking for a break from their hectic schedules and ending up on a desolate Alaskan glacier for an off-the-grid camping trip. In “Orca Songs,” singer and songwriter Kesha kayaks in the San Juan Islands, paddling among her favorite animals: orca whales.“The Highland Way,” features comedian and YouTube personality Mamrie Hart hiking the West Highland Way with a rugged Scottish adventurer Aldo Kane—perhaps only because there’s a scotch distillery at the end. “The Bucket List FKT” follows ultra-runner Joe McConaughy across seventy miles of wild terrain in Ireland. And “This One’s for My Crew” helps country music artist (and Columbia fan) Luke Combs surprise his crew with a spontaneous fishing trip to Los Barriles, Mexico off the Baja Peninsula. The films were produced and edited by North, with CCO Ray directing most of them and “The Bucket List FKT” directed by North creative director Ashod Simonian. The series kept North and Columbia on the road for almost a month, in Mexico, Scotland, Ireland, Alaska and the San Juan Islands. They shared the same occasionally rough surroundings with their subjects, including staying in yurts in Alaska.